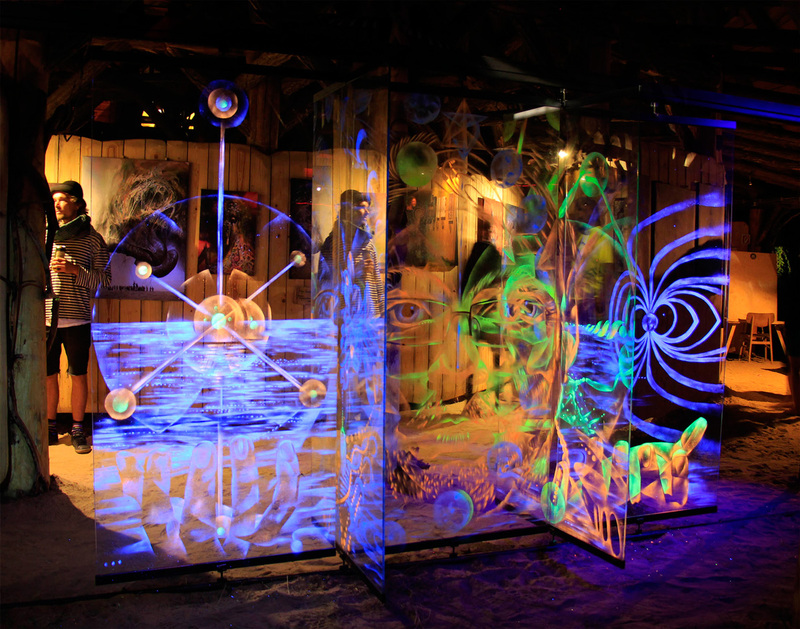 – Metal structure of 500cm long, 200cm high and 100cm wide. 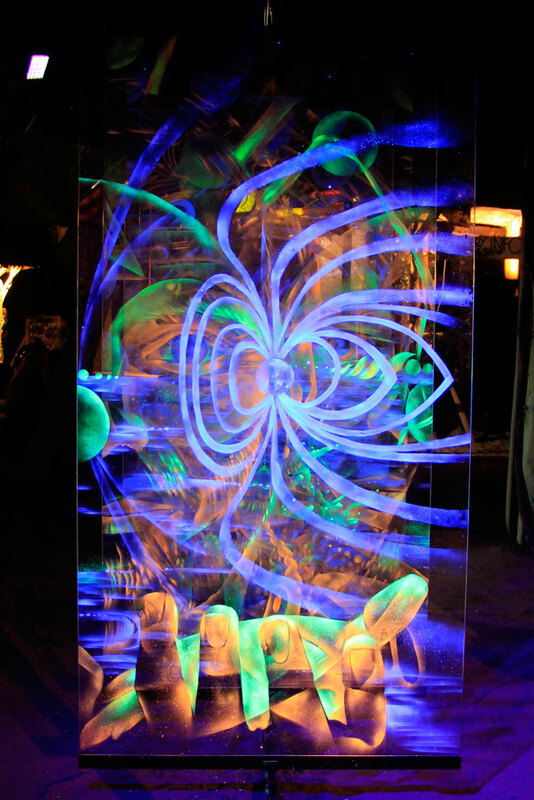 – 5 security rotating crystal windows 4+4mm of 180x90cm. 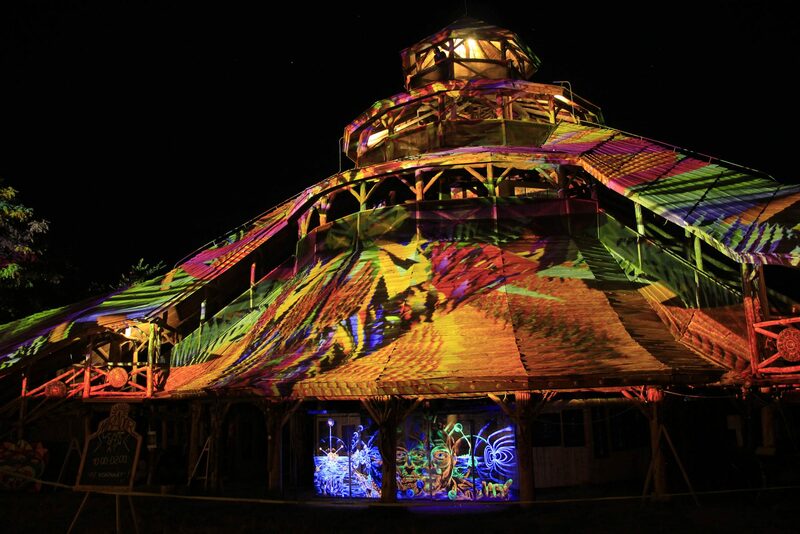 Interactive art installation created during the Ozora Festival 2017 in Budapest (Hungary). 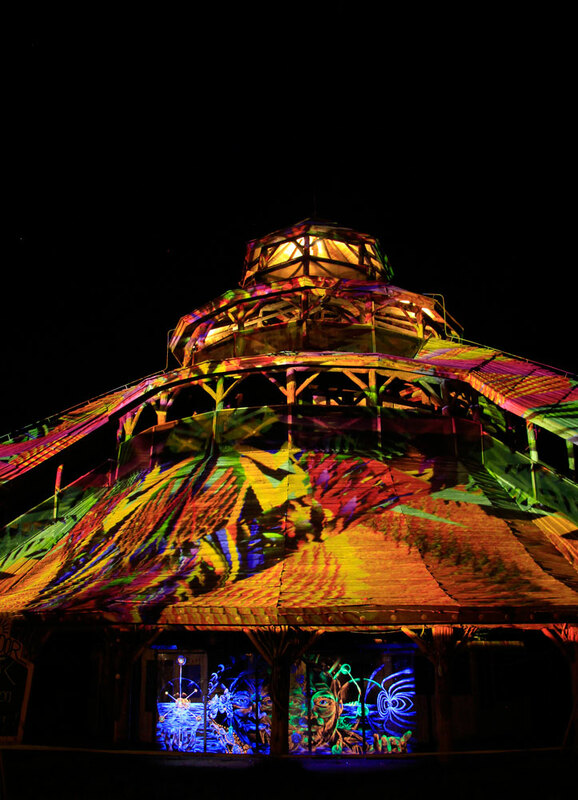 The festival take place during the solar eclipse of august. 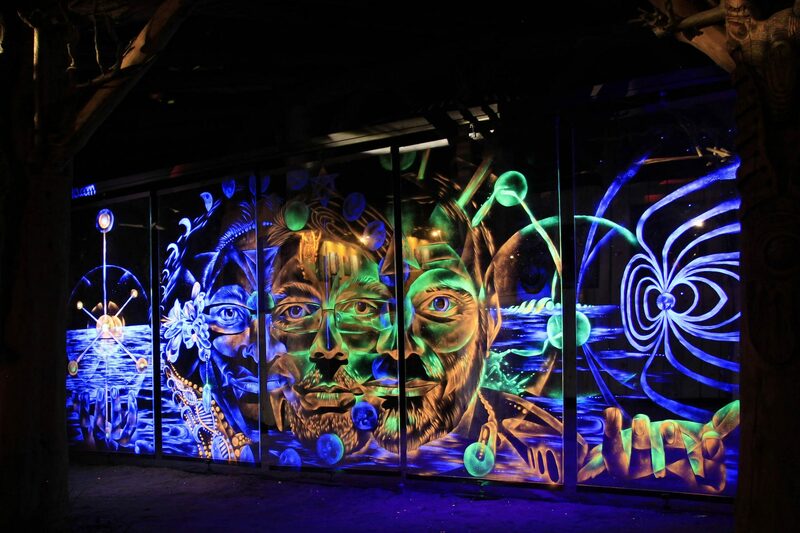 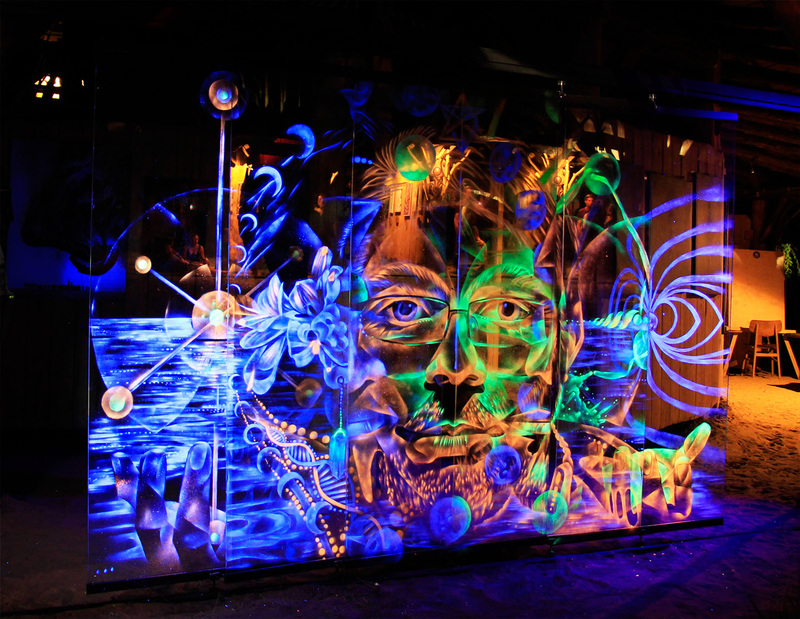 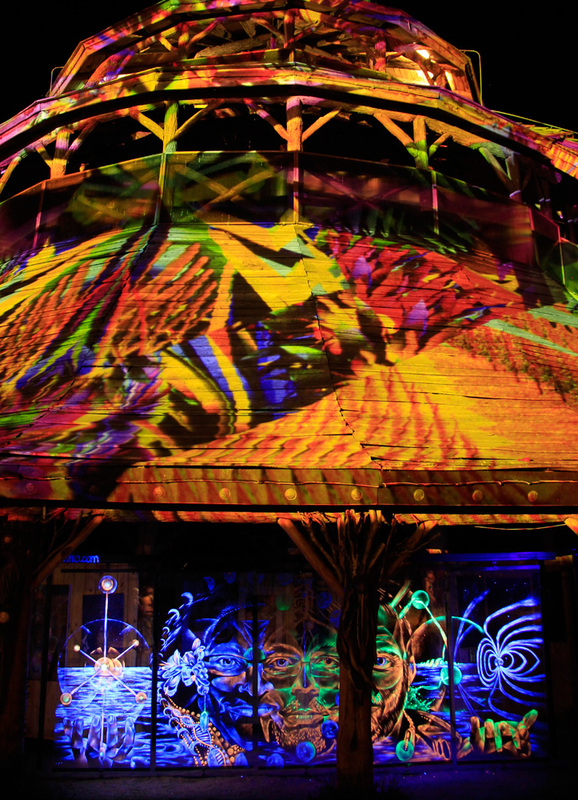 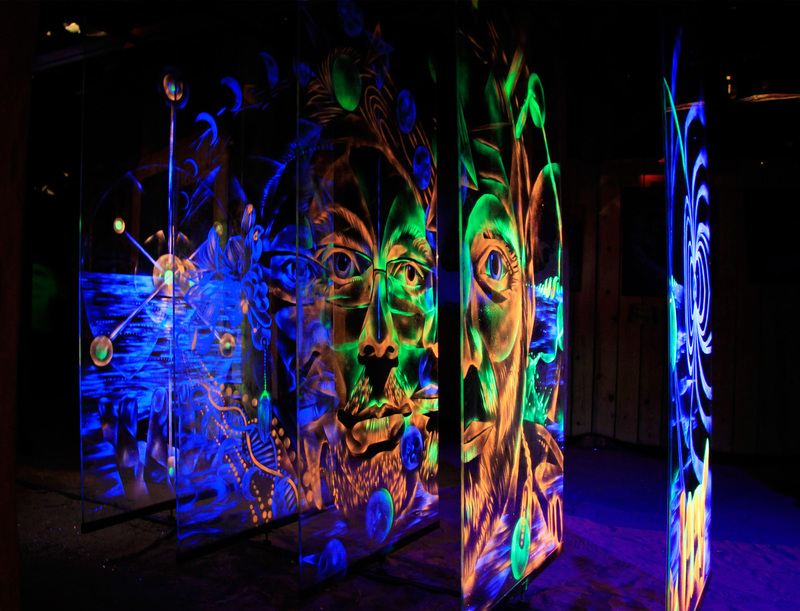 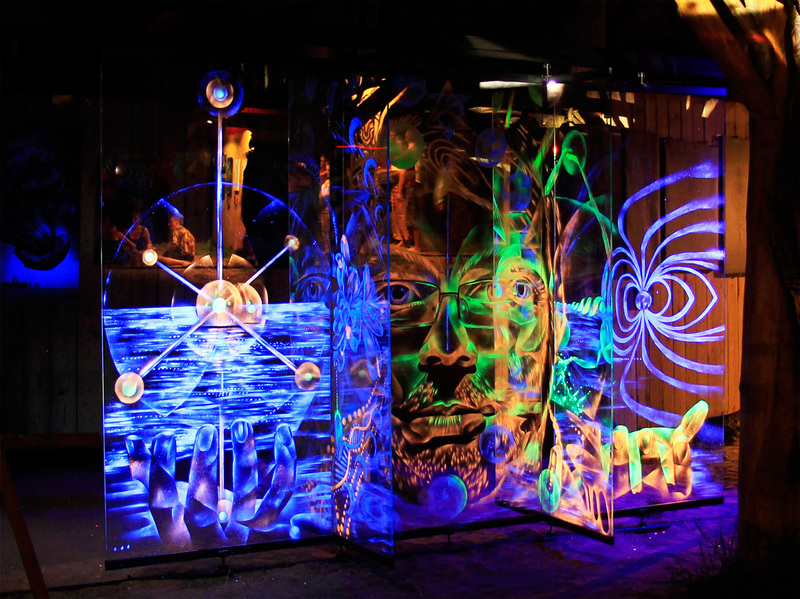 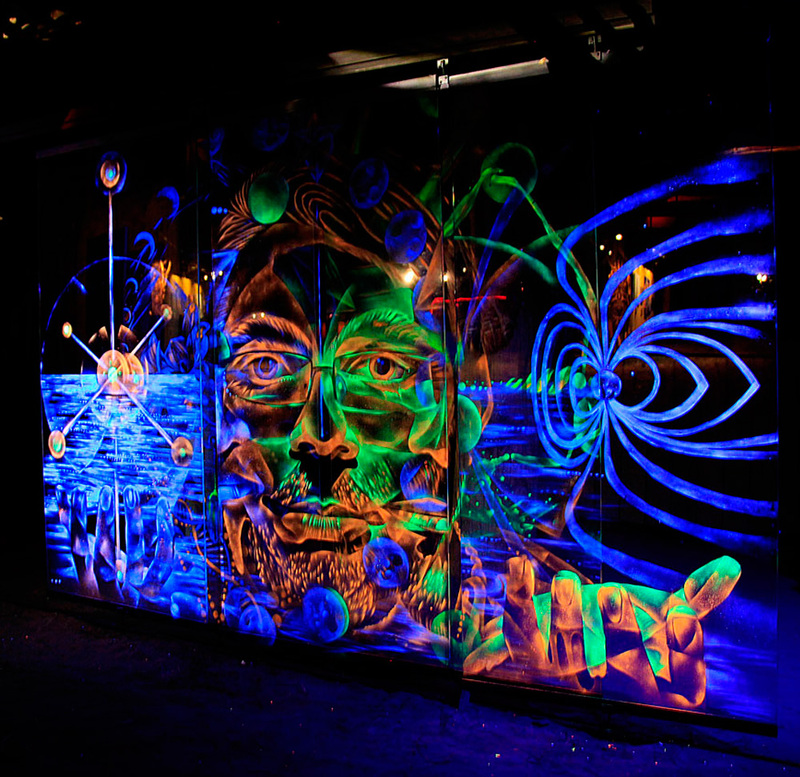 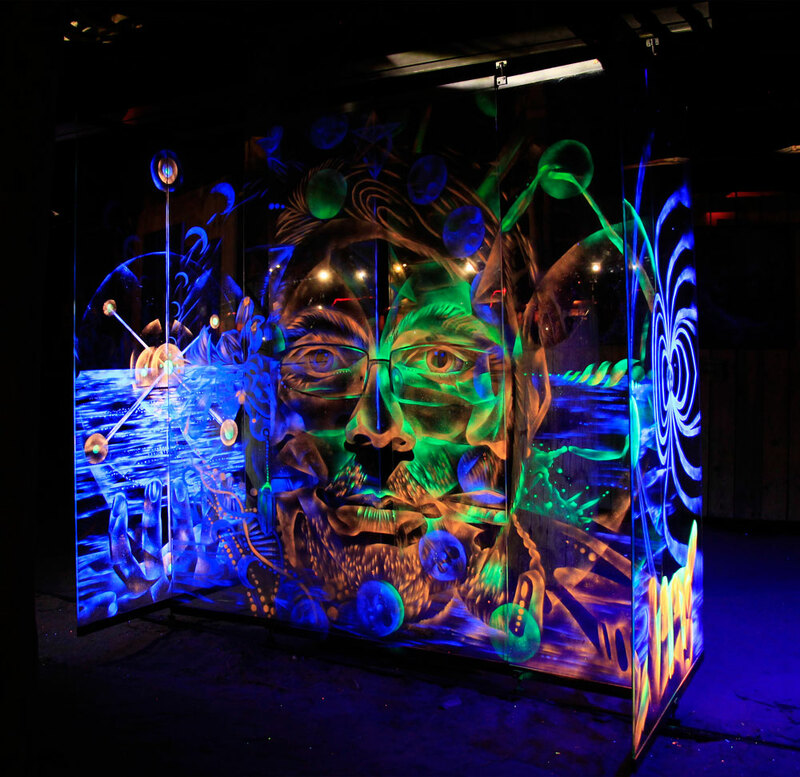 Made on 5 rotating crystals, this art installation was painted live during the festival just with 3 fluor sprays and UV light where people can interact each other moving mirrors. 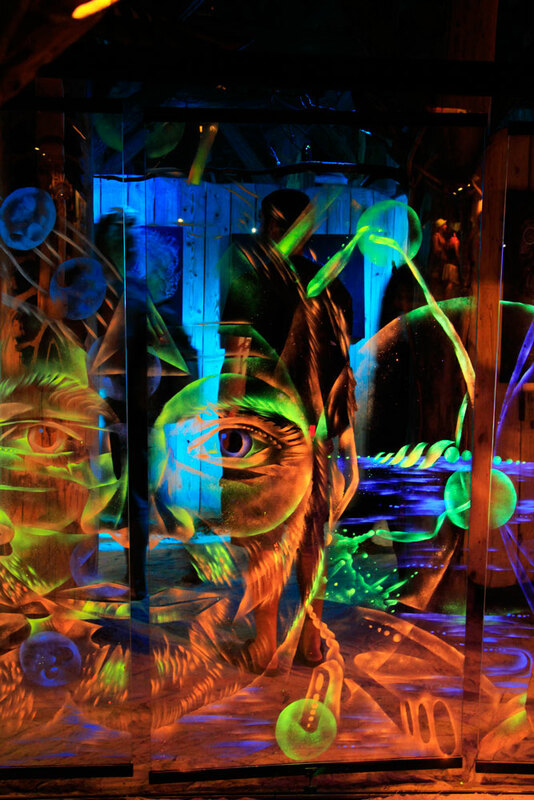 The artwork itself is a crystal structure consisting in mirrors and a metal construction. 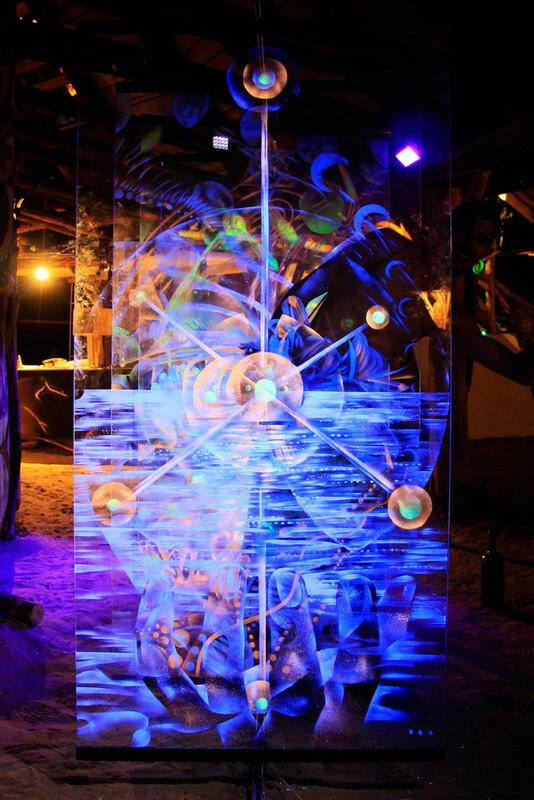 It represents the equality between man and woman and balance between moon and sun where “knowledge is power”.